I run several postgraduate broadcast journalism courses at Birmingham City University and am using this to reflect on refreshing my own journalism skills, specifically online. We held our third AMPA conference on 13th July at Nottingham Trent University, with thanks to Gail Mellors and the Centre for Broadcasting & Journalism for hosting us.It’s always a delight to take time out from the usual run of things (marking and attending boards at this time of year) to get together and discuss our work, careers and the context of HE for media practice academics. We had representatives from unis in Lincoln, Nottingham, Birmingham, Leeds and York and after a welcome to NTU, I did a brief update on AMPA activities since last year. I referred to contributions made at symposia at Goldsmiths and Salford University which highlighted very different reactions to AMPA’s existence and aims. I also talked about the 1 year PhDs some institutions are making available to practice academics with considerable professional experience and a back catalogue to prove it. Both Salford and Dublin Institute of Technology offer this option to staff only (though that may change) as a legitimate equivalent of the ‘PhD by publication’. This prompted some discussion about and reiteration of our aims (listed on this site) and served as a ‘warm up’ for the following session. 73% of practice academics were research active. 61% felt that their practice research was not valued as equal to to the theory model. There was much discussion about his findings and very warm encouragement for him to publish the results. We feel that when it is there will be many opportunities to start debates citing his research, as well as raise the profile of AMPA and its aims. Dr Emma Hemmingway from NTU was next. She shared research she’s undertaking into the differences between simulated practice and professional work opportunities for students and their impact for students and staff. The research is on this site if you want to see more about it and Emma will post updates, as well as requests for contributions, from time to time. Particular thanks to Emma for her presentation, given that she was in pain with a broken leg. Bob Calver from Birmingham City University then shared a presentation he’d given to a meeting of freelance journalists from the Nordic countries. Titled ‘Spreading optimism in the Snow’, he talked, amongst other things, about preparing students for the freelance life. Bob drew fascinating analogies with the his early days in print – putting copy on a bus to be delivered to a different newspaper office in another town – which hinged on the fact that journalists have always been good at being flexible and using whatever is the best method at the time. We ended the session with discussions about our next steps. That will be something to post on here in days to come. Please join us for our AMPA Annual Conference. This year we will be at Nottingham Trent University, Goldsmith Street, Nottingham. Diane Kemp will be talking about her ‘Travels with AMPA’. Reaction from two universities to AMPA presentations and the debates which ensued. John Mateer will be talking, via Skype, about his research on the career development of media practitioners across the HE sector. 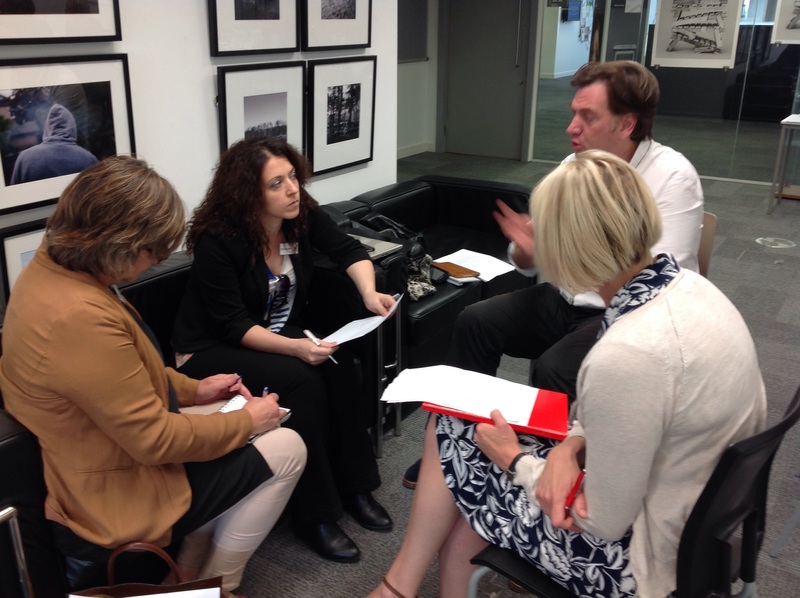 Bob Calver was recently invited to speak to a meeting of freelance journalists from the Nordic countries. Given the title ‘The new working life’ he spoke about how his and other UK journalism courses prepare new journalists for freelance working and looked at some of the positives and challenges facing freelancers. Emma Hemmingway will be discussing her study of experiential learning opportunities within University Journalism Schools involving external, professional collaborators. Exploring the employability implications, opportunities for widening participation and the pedagogical challenges proffered by such innovative learning environments. We hope you will join us for refreshments and a further opportunity to share experiences the end of the afternoon. Research Proposal – can you help? A study of experiential learning opportunities within University Journalism Schools involving external, professional collaborators. 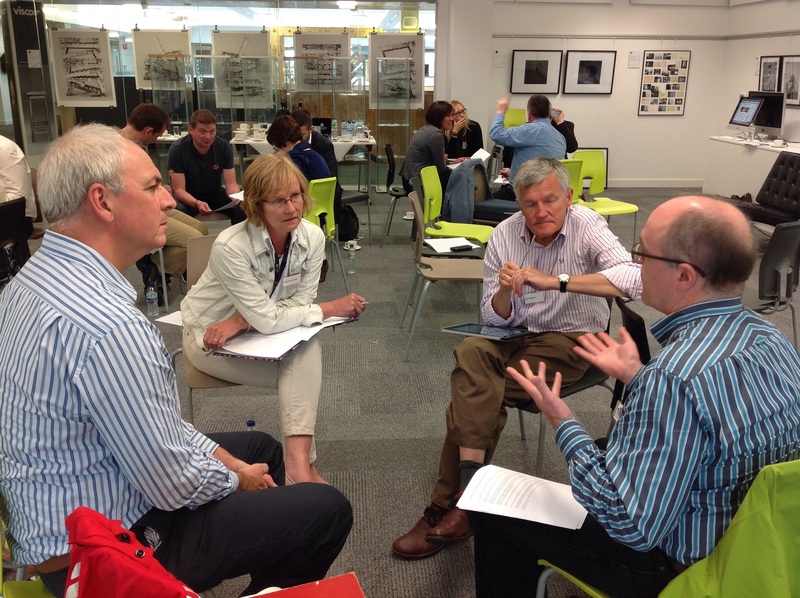 Exploring the employability implications, opportunities for widening participation and the pedagogical challenges proffered by such innovative learning environments. The study will concentrate on two main case studies at NTU but I am looking to extend this to other institutions hence this posting. If you believe that a professional collaboration within your institution should be mentioned within the study I would be very keen for you to get in touch. The study will be exploring the following partnerships at NTU and I am seeking to include other similar case studies for the project. 1. Year 3 broadcast and print BA students who are currently working on the Notts TV pathway within CBJ’s newsroom. 2. MA Magazine students who are working in collaboration with the magazine The Voice. As such the study will explore whether these pathway experiences effectively respond to the University’s own core goals as outlined in the strategic plan and curriculum refresh as well as to the recent Government white paper. The previous years’ student cohort will be contacted in each case and interviewed and statistics collated in terms of demographics and employability. The study will look at such issues as empowering student learning, developing student ownership and responsibility for learning, the many and often complex pedagogical implications of creating professional environments for students and evidencing student progression and satisfaction within these environments. It will also address the pedagogical challenges of bridging the gap between educational skill sets and expectations and those professional challenges that will face students on the pathways. Other pedagogical issues evidenced by the study will be an exploration of the application process of students for these pathways (fairness and equality of opportunity for all students), student satisfaction and retention within the pathway experience, and whether these are markedly different from other non-professional based learning experiences or environments. It will also explore the pedagogical challenge of enabling students to move from simulated learning environments to professional ones, where the skills set may well be similar but responsibility for learning and professional commitment is markedly more demanding, where student engagement becomes a much clearer necessity and the risk of non-engagement much higher for the teaching institution, the professional body, as well as for the individual student. The study will also examine the challenge of effectively assessing such pathways, whether or not more strategic assessments in terms of student engagement and reflection, rather than content is desirable, and how this assessment process would be or is received by students. The research could be published as a number of related journal articles or indeed be developed into a longer monograph. New approach to practice academics’ PhD at Salford. Had a great time at Salford University on Thursday. Many thanks to Dr Michael Goddard for organising it and one of AMPA’s own, Geoff McQueen, for proposing me. As the title of my talk suggested, I spoke about the strengths that media practice academics have, often unacknowledged by themselves to the detriment of their HE careers and colleagues’ appreciation of what they bring to the table. I referred to John Mateer’s useful research from the Uni of York (to be published later this year) reflecting how many media practice academics feel they are undervalued, as well as Carl Gombrich’s work at UCL, on interdisciplinarity, which helps clarify the kind of strengths media practitioners have. 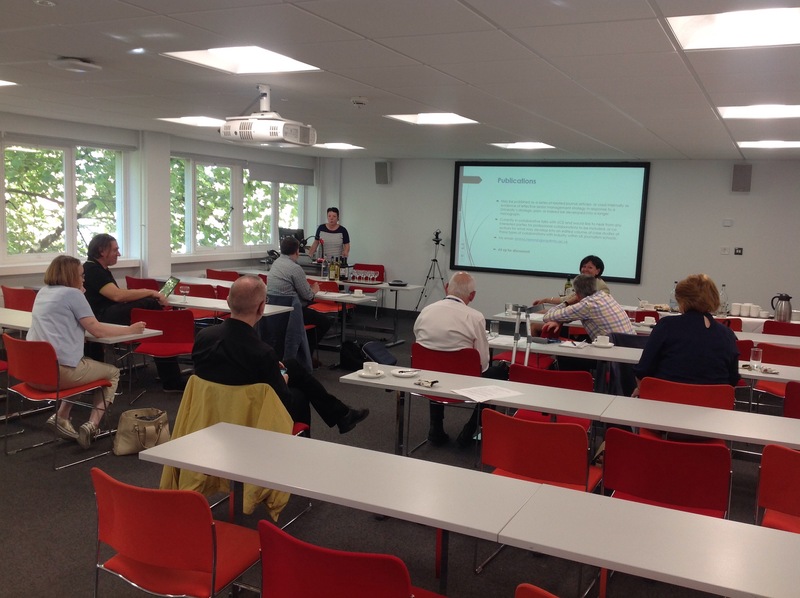 I obviously talked about AMPA and why it was set up and ended up discussing the opportunities for practice research which most media academics are in a great position to exploit – all things being equal. After some very positive Q&A there were 2 presentations from Dr Lloyd Peters and Dr Annabelle Waller from Salford. These were fascinating as both of them, having had illustrious careers in the media, have completed their PhD via Salford’s thoughtful and enabling initiative: namely by published, practice work. It means that if you have an archive to draw on – in these cases decades of radio script-writing/network TV programme making – you can useit as your research for whatever question you are seeking to answer. Practically it means a minimum of 8 artefacts and 15,000 words and one year are required for completion. In both cases they exceeded the word count (25,000 approx) as well as the number of artefacts drawn on. But this approach by Salford University to supporting practice academics achieve a PhD through valuing their past expertise in this direct way is a very welcome addition. At present it’s only open to their own academics, but I gather they’re thinking of extending it in the future. Does anyone know of similarly supportive approaches elsewhere? Some of the Salford University academics I met are planning to come to the next AMPA conference, so hopefully we’ll get them to tell us more then. I’m very much looking forward to being at Salford University tomorrow. I’ve been invited by Dr Michael Goddard, Reader in Media and PGR Director at the School of Arts & Media, University of Salford to talk to media and journalism academics, some practitioners and postgrad researchers. I want to celebrate the strengths of media practice academics, discuss the setting up of AMPA and suggest how ‘interdisciplinarity’ might be key to unlocking research potential. I hope this will be quite a discursive session, so if you’re planning on going, please do chip in with comments and questions. Really interesting how these things crop up. It’s a surprise – and a very pleasant one – when you get invited to talk. But also rather left-field for those of us not on any conference circuit. There’s a certain ‘putting your head above the parapet’ quality to it when you are more on the side of anecdotal reflections than quantitative research. (Strikes me this might also be something we discuss at this year’s AMPA conference). Anyway, I’ll post something about it when I get back and I have to say am not only delighted but feel proud to have been asked. As is the way of media practice academics any prep time for the talk has been taken up by involvement in other projects. 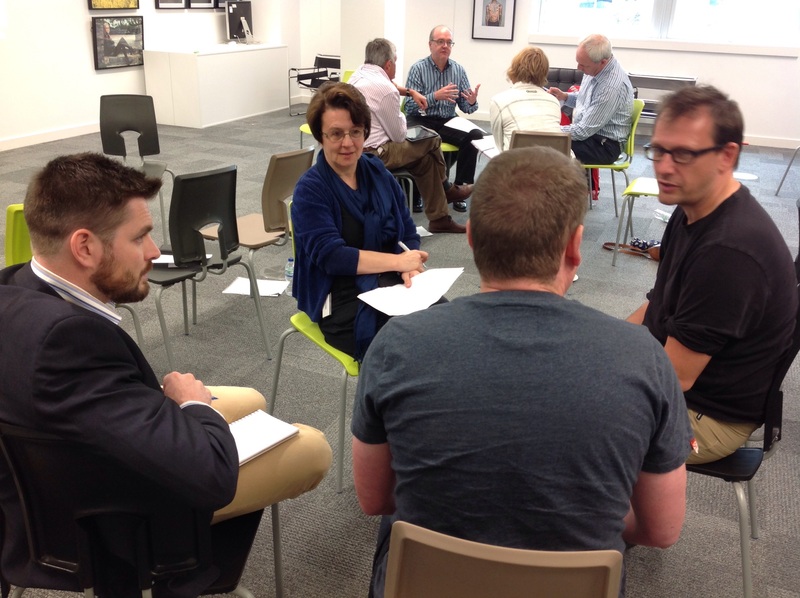 So last night I was facilitating a Birmingham Partners event, which is about local democracy and engagement in the city. 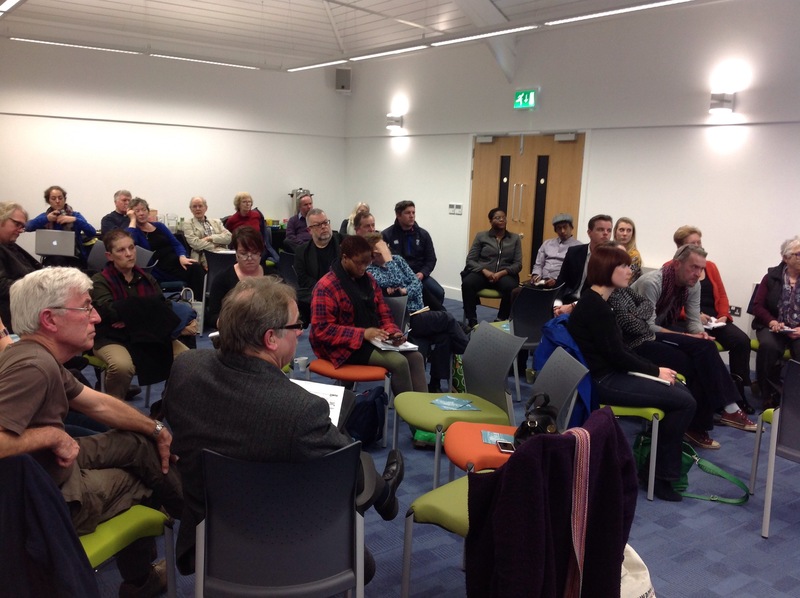 Community activists from across south Birmingham gathered to share expertise and learn from each other. It was noisy, discursive and creative. We’ll be running more in other parts of the city as well as tackling bigger issues such as equality (as in, why isn’t Birmingham a more equal city?). Could also be an excellent research project. I think media practice academics, because of our skillsets and general curiosity, are involved in similar kinds of real world projects across the UK. Be great to see all that captured. I might just mention this tomorrow. Questionnaire from NTU colleague. Can you help? I am a lecturer at the Centre for Broadcasting and Journalism at Nottingham Trent University. I am currently undertaking some collaborative academic research which is investigating the simulated working environment – the news day model- as an effective pedagogical tool in teaching tomorrow’s journalists. We as tutors work with this model in our supervision and managing of the news day environment for both print, magazine, online and broadcast students. As part of my research into this way of teaching I have devised a short questionnaire which I would be most grateful if you could take the time to answer and send back to me on my email address which is emma.hemmingway@ntu.ac.uk. It shouldn’t take very long at all. If you also feel that I have missed out any aspect of the news day experience, please do let me know. Any additional comments are always useful and gratefully received. All answers will be treated anonymously in the text and will be strictly confidential. How many news days do you supervise and for what level of student? What is your experience of the students’ first impressions of the news day experience? Do you see a change in their impression as the news days develop throughout a module- and if so, in what kinds of ways? How close to the “real life” situation of a print or broadcast newsroom do you think the simulated environment is? Please give examples. How does your role as an educator change from your classroom/seminar teaching to news day managing and coordinating? How well do you feel the news day scenarios are resourced in terms of staff and technologies? Would you like to see any changes made to these resources? How have the demands of “convergent journalism” impacted on the news day environment for BOTH students and tutors? What do you think that students learn from the news day experience that they wouldn’t get from more traditional modes of teaching? What changes, if any, would you like to introduce to the news day scenario? Many thanks for your time in answering these questions and for your contribution to this research. All answers will be treated as strictly confidential and used anonymously in the journal article. Thanks to Andy for sending this. Please read and comment. ‘I recently attended the 2015 AMPA Forum at Birmingham City University and was asked to write something about my experiences of doing a PhD. First some (truncated) background. I used to be fiercely anti-academic. I left school at 16 with two CSE’s (English and History) and started work as a YTS trainee for a conference staging company before moving on to working in the theatre, finally falling into working for a video production company, which produced corporates and freelanced its staff to the broadcast industry, mainly in news gathering. When that company went bust I dabbled with freelancing before a camera op pointed me in the direction of the then Huddersfield Polytechnic (it became a University on the day I started working there), as an AV Technician. It was only supposed to be a stopgap but it’s now 24 years later and I’m a full time academic member of staff, who’s the Course Leader for the Broadcast Journalism course and Director of Admissions, for the School of Music, Humanities and Media. I also have two degrees, an MA and a PhD from two red bricks, Leeds and Cardiff respectively. There’s been a lot of pressure on colleagues who were employed for their practice orientated skills to register for PhD’s. I understand the resistance from some of these colleagues who are practitioners. Why be judged on your academic skills when you don’t see yourself as or want to be an active researcher in the academic mould? Instead you want to spend your time working with students running newsdays and passing on good, useful practical skills that will ensure that the students can be competitive in a very crowded market place. My intention is to still do this, I’m still timetabled to teach more practice than theory even though I have a PhD, although being a doctor means I have entered what a colleague once described as ‘the dark side.’ In addition another colleague (who resisted becoming research active for a very long time) once rather aggressively told me that he could do my PhD ‘in his lunchtime’ and I once came back to my office to find that the Dr. part of my nameplate had been covered over with gaffer tape. There was some suggestion at AMPA that academics look down on practitioners, it can work the other way too, especially if you cover both areas. I’m proud of both my degree’s but of the PhD in particular. I was lucky that the wonderful Justin Lewis saw something in me and agreed to be my lead supervisor and stayed throughout the duration of my PhD. Having said that it wasn’t made easy. The first 18 months were spent in negotiating a title and my two supervisors trying to persuade me to withdraw on the basis that students doing part time doctorates from distance never complete. There was the sheer horror moment halfway through when my data collection results didn’t provide me with the answers I thought they would and I didn’t know what I was going to write about. When submission was near and I got feedback which said that ‘some external examiners may see this as only an MPhil, but some may pass it with minor corrections’ was a particularly hairy moment. Likewise the thought of defending my work to two academics that I’d never met, especially after receiving the afore mentioned feedback, caused a near half stone loss of weight and a couple of sleepless nights. In the end the viva was a dream and I passed with minor corrections, about the best you can hope for given the circumstances. I learnt a lot from my PhD. I now feel that I have a better understanding of academia, that I’m better at my job (particularly the dissertation bit of it). I’ve learnt a lot about myself and as a result feel more confident. The realisation that academic work is nothing to be feared, that the scrutiny that you are under, both while preparing the thesis and during the viva, is designed to be helpful and constructive, it’s not someone deliberately putting obstacles in your path because they feel you are unworthy, helped me understand my own job better. Of course these attributes – being helpful while pushing – work across the board. I also learnt a lot about time management. It’s no easy task to work on a thesis while working full time but we are very lucky at Huddersfield in that we are all timetabled for a research day. The research day is very important, while it may have taken me seven years to complete the work, that one day a week during term time set aside for studying meant that there was always some kind of momentum. Even if it was backwards it was still momentum! To the nay sayers I say give it a go. It’s worth it in the end. It isn’t easy, either whether you’re doing an AVPhD (practice based) or, like me, a non AVPhD, but it is the highest degree that can be studied towards so it’s not going to be is it. From AMPA 2: Practice and Theory Wars. Practice and Theory Wars in Media and Cultural Studies. 15 to 20 years ago there appeared to be a war going on between professional media practitioners being hired to teach their skills in universities and the Cultural/Media Studies theory academics they were married with in media and communications departments. Tensions in Britain increased when research assessment excluded or downgraded practice equivalent submissions. The publication in journals of articles by Keith Windschuttle and John Hartley seemed to symbolize the position of the warring factions- one a longstanding journalism practitioner turned academic and the other a cultural studies academic who made it his business to use his theoretical intellect to subject journalism to cultural studies criticism. Keith Windschuttle’s academic pedigree and experience spanned senior lectureships in media studies, social history, sociology and social policy in prestigious Australian universities. His practice journalism career began in 1959 as a copy boy on the Sydney Daily Telegraph and traversed newspapers, magazines, television and radio. John Hartley was Head of the newly created Cardiff School of Journalism, Media and Cultural Studies at Cardiff University and Director of its Tom Hopkinson Centre for Media Research. He’s still a professor at Cardiff as well as Professor of Cultural Science and Director of the Centre for Culture and Technology at Curtin University, Western Australia. What can we learn from this angry and historical spat between practice journalists and university media and cultural studies theorists in universities? Windschuttle was a kind of poacher turned gamekeeper for both sides of the battle. He’d written three editions of The Media: A New Analysis of the Press, Television, Radio and Advertising in Australia that was published by Penguin and acted as the staple theoretical textbook for university journalism programmes during the 1980s. 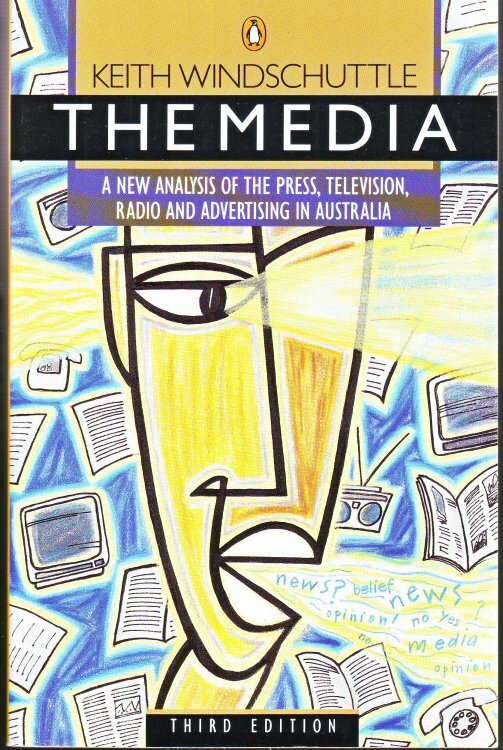 The cover of ‘The Media: The New Analysis of the Press, Television, Radio and Advertising in Australia.’ Penguin. The Media is now out of date but much of its structure and framework of curriculum would not be out of place in a coherent undergraduate journalism programme today. Under Political Economy there were chapters on The Future of the Press, The Economics of Advertising, The Profits of Television, The Structure of Commercial Radio, Ownership, Oligopoly and the State. Under Culture he wrote chapters on Television and Popular Culture, Advertising and Identity, Radio, Popular Music and Talk, Glossy Sexuality, News as Myth, Politics and Television, Unions, Strikes and the News and Economics and the New Right. Under Reform the chapters covered Advertising and Self-regulation, and Diversity, Standards and Critics. The conflict seemed to stem from an intellectual and ideological disagreement about the nature of journalism and media communication. Windschuttle argued for realism and pursuit of truth ethos where facts could be objective through empirical verification. Hartley engaged structuralism and new ideas about postmodernism. Understanding of media needed to be analyzed through language theories and he explored the idea that much of what was regarded as reality by media institutions was imagined- including the construction of audiences. Windschuttle’s dispute with Hartley is evident in the articles they wrote because they refer and criticize specifically what each other has said about their respective positions. Hartley describes the profession of journalism in the following terms: “It aspires to the professional status of architects while actually turning out real estate agents—pettybourgeois, self-employed, white collar workers with no commitment to professionalisation.” Again, the notion that journalists are mostly self-employed indicates someone with very little grasp of the profession he so confidently disparages. The great majority of journalists are not self-employed but are employees of corporations. (ibid 153). In fact, Windschuttle and Hartley were keynote speakers at ‘Media Wars: Media Studies and Journalism Education‘- a seminar organized by the Australian Key Centre for Cultural and Media Policy, held at Queensland University of Technology in Brisbane, 27th November 1998. Hartley fought back in 1999 with ‘Why is it Scholarship When Someone Wants to Kill You? : truth as violence’ in Continuum’s Journal of Media & Cultural Studies. He noted that in Journalism: Theory and Practice he had more mentions in the index than any other author. In fact he had a total of 24. Martin Heidegger only received one. Hartley reserved the main objection in his piece to a chapter in Journalism: Theory and Practice by the former radio journalist and now university educator Martin Hirst titled ‘From Gonzo to PoMo: Hunting New Journalism.’ The chapter could be interpreted as either an ironic joke in the style of gonzo journalism or a rather unscholarly rant replete with a surfeit of aggressive language. Has this row/war been constructive? The question I ask is just what was achieved by this contretemps between theorists and practitioners in media and communications? For myself I can only say that during this period as a media practitioner in UK HE it was a major struggle to get promotion and deal with the hostility. I am not superman. I was already working seven days a week as a lecturer and broadcaster, with one of the biggest teaching loads in the department. I had in fact written and had published by Routledge two successful ‘theory and practice’ books- the first in my specialist subject areas. An attempt by a sympathetic colleague in a post 92 university to enroll me on a PhD by publication programme was blocked by theorists who argued that this qualification was reserved for theory academics publishing in academic journals and monographs. Inevitably my first attempt at doing a ‘traditional theory research’ PhD at a friendly outside university ended ignominiously with de-registration. I had collapsed with financial, physical and mental exhaustion combined with an implosion of intellectual and academic self-confidence. All this was going on while my professional practice, recognized by more than 50 national and international awards, was considered worthless in terms of research equivalence. Matters improved after 20 years in Higher Education, but I also notice that matters are not improving consistently across the sector. My heart goes out to distinguished colleagues coming into HE from the professional practice media field with oodles of enthusiasm and commitment to teaching, who find that they have to ‘retrain’ for the academic profession. They are not getting the help and support they need. I accept induction does require training and qualification in the profession of teaching in Higher Education and if a media practitioner wishes to be ‘trained and educated’ in the academic profession obtaining a PhD. But these things can only be achieved by the employing universities funding the process and providing the teaching relief and mentoring support for those coming in from the outside. Part-time PhDs are extremely tough challenges; particularly for mature professionals with families who are doing a full-time job in higher education. In the case of media practitioners this will always mean people with huge teaching and marking loads vis-à-vis their theory colleagues. What does the Practice/professional and traditional theory PhD achieve for a media practitioner academic? Practice AVPhDs and traditional theory research PhDs have the advantage of effectively bridging the divide and fostering mutual respect and understanding. Developing an audio-visual PhD culture within the university where there is interaction, discussion and sharing of expertise across disciplines and between research students and supervisors. Building academic self-confidence and gaining recognition from academic theory peers. This is all well and good. The media practice academic takes the journey to bridge the divide and has the opportunity to eventually become an expert in media practice and media theory. But it is important that this route does not become the only way to achieve parity in promotion. Media theorists are not expected to ‘retrain’ as professional practitioners and achieve equivalence in experience at the same time. It is easy to see the lack of logic and fairness in this equation. There’s a palpable injustice and discrimination going on here. I think the answer lies in setting out a balanced infrastructure of recognition, promotion and reward for the intrinsic fields of practice experience and publication, teaching and theoretical research and publication. Keith Windschuttle is an influential figure in Australian media having been a board member of the ABC. He’s been the editor of the Australian conservative periodical Quadrant until February 2015 and remains on its editorial board. He’s the proprietor of the Macleay publishing press. He’s well known for his controversial series of historical critiques titled The Fabrication of Aboriginal History. He has challenged the reliability of academic claims that white Australians have been responsible for stealing generations of Aboriginal children and a historical narrative of genocide. Martin Hirst is Co-convenor Governance, Media & Democracy Research Group at Deakin University, Melbourne, Australia and Associate Professor of Journalism & Multimedia in the School of Communication and Creative Arts at Deakin University as well as the author of several books on journalism and media. Professor John Hartley has the following post- nominal letters after his name: AM, FAHA, FRSA, ICA Fellow, and is Professor of Cultural Science and Director of the Centre for Culture and Technology at Curtin University in Western Australia, and Professor of Journalism, Media and Cultural Studies at Cardiff University. He has published over twenty books about communication, journalism, media and cultural studies, many of which have been translated into other languages. Tim Crook is still in UK higher education and is still a media practitioner. He’s Professor of Media and Communication at Goldsmiths, University of London, and Visiting Professor of Broadcast Journalism at Birmingham City University. He’s written six books and is having another go at completing a traditional theory PhD in Media Arts at Royal Holloway, University of London. Keith Windschuttle, 1988 3rd edition, The Media: The New Analysis of the Press, Television, Radio and Advertising in Australia, Victoria, Australia: Penguin Books. 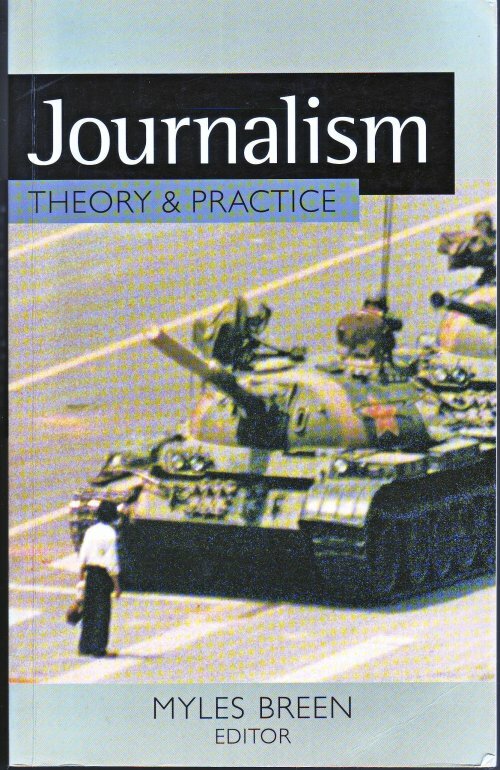 Myles Breen, editor (1998) Journalism: Theory & Practice, New South Wales, Australia: Macleay Press. Bob’s eye view of AMPA 2. Verily I tell you there is a way. So the second AMPA get together has happened and those of us who were there will (I hope) agree it was interesting and worthwhile. I wanted, though, to share a couple of thoughts before the weight of work or the sand of summer beaches covers our heads and AMPA slips slowly down the ‘to do’ pile. 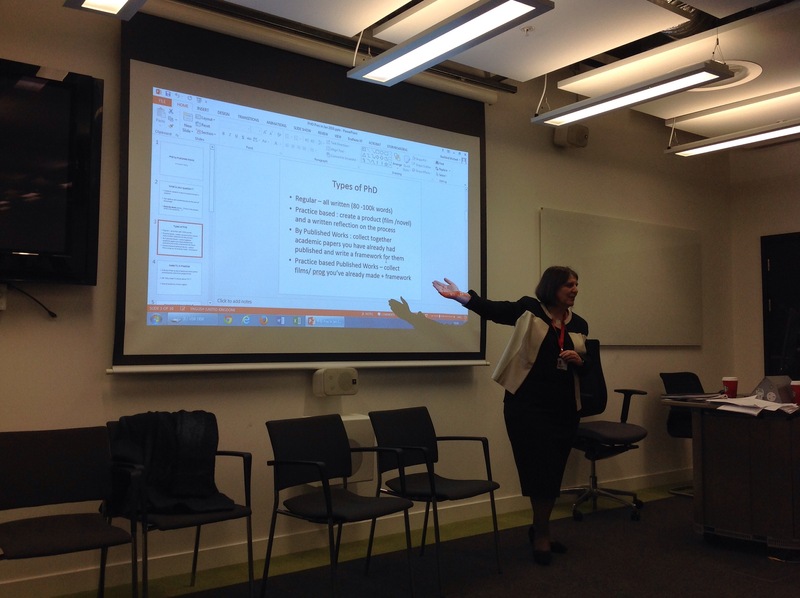 In her introduction Professor Diane Kemp referred to the meeting being not so much a conference as an occasion to evangelise on the place and power of practice in media teaching. On reflection there was something of an air of the evangelical about the day – not just because we weren’t even twice as many as the Apostles gathered in an upper room – but in the way we finished by setting out what we will each do to take our message into the world. So what of the thought-provoking out of body appearance of Richard Horsman questioning the idea of universities as the place for teaching journalism? (See his blog on this site). Do we cast him in the role of Doubting Thomas? I think not. I’d prefer to see his contribution as more Pauline….Richard’s letter to the community at AMPA or 1 Richard to the Academics. I say this because I think there is a great deal in what he said to set us thinking about how we approach not just journalism but media/film/production teaching in future to reflect fully the important part we think practice plays in that teaching. Richard is right that the academic year, timetables, term dates, modules and so on can hamper what it is we really want to do. Add to those ‘snags’ the fact that we are might even be working with students following different routes and the hurdles might seem insurmountable. At BCU, where I work, we have been thinking about how we might create a news hub. The vision is a single multi-platform, outward-facing news operation run by students with undergraduates, postgrads, print and online types, those on TV and radio courses all working together. It sounds great but I’m sure you’re already asking how you can teach across cohorts and courses, where assessments fit in and (the big one) who has editorial oversight and responsibility? They’re the questions we’re asking along with how do we timetable that activity and, oh yes, where might we find space for it? You won’t be surprised to learn that we don’t have the answers. (If you do we’d love to hear from you). The point is that our thinking is moving in that direction and I’ll bet we are not alone. As AMPA we talk about how we are proud of our practice and professionalism. Surely it’s not beyond us to shake up the system. Nearing the end of the conference and people in small groups deciding on our challenges for the year ahead. Roy Hasnney on Salford University Keynote. bobcalver2 on Salford University Keynote. hanneyr on Salford University Keynote. hanneyr on Lovely to see you….